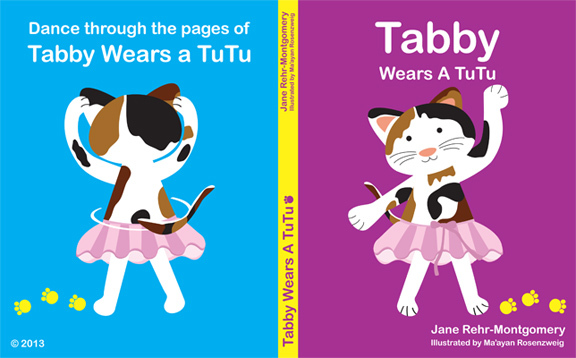 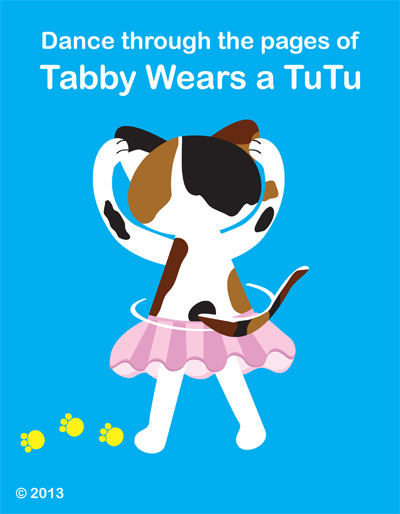 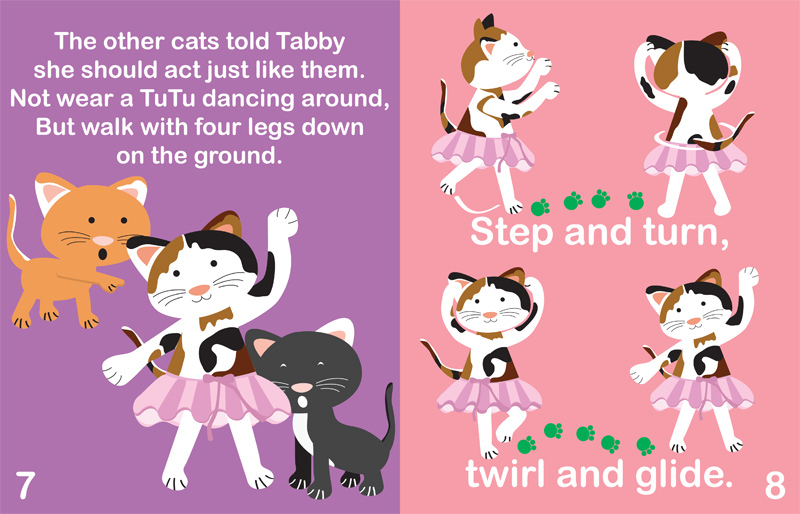 Dance around the pages of Tabby Wears a TuTu as Ma’ayan’s illustrations come to life. 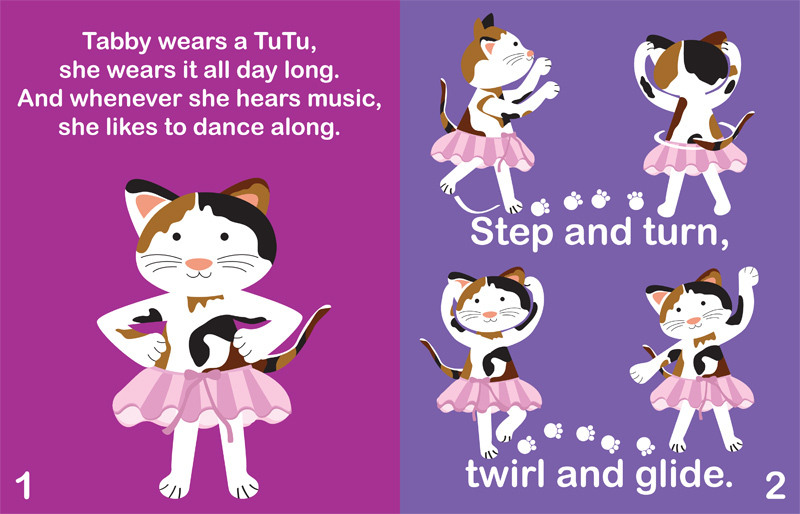 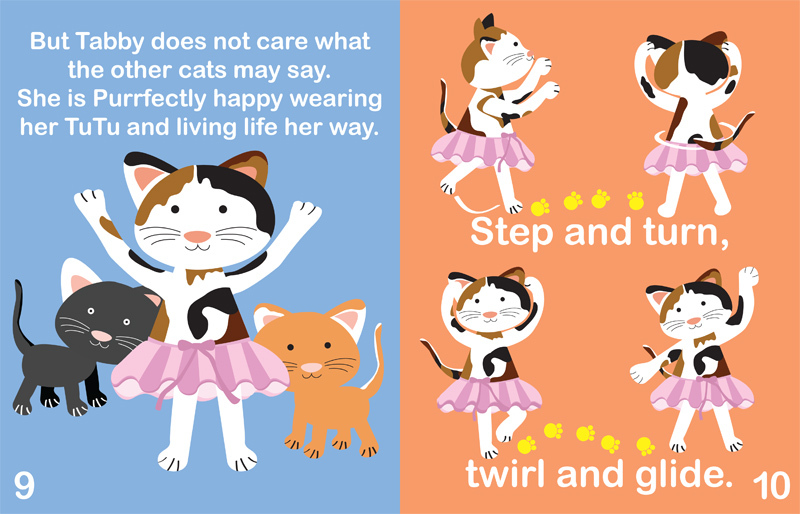 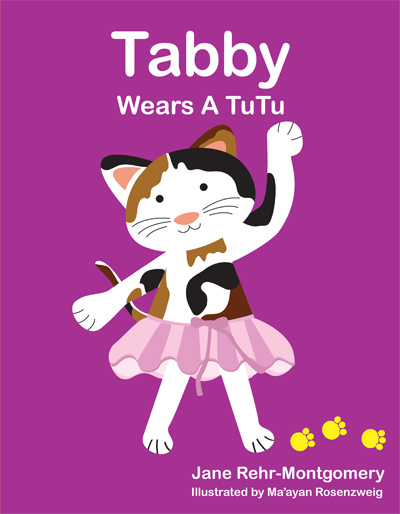 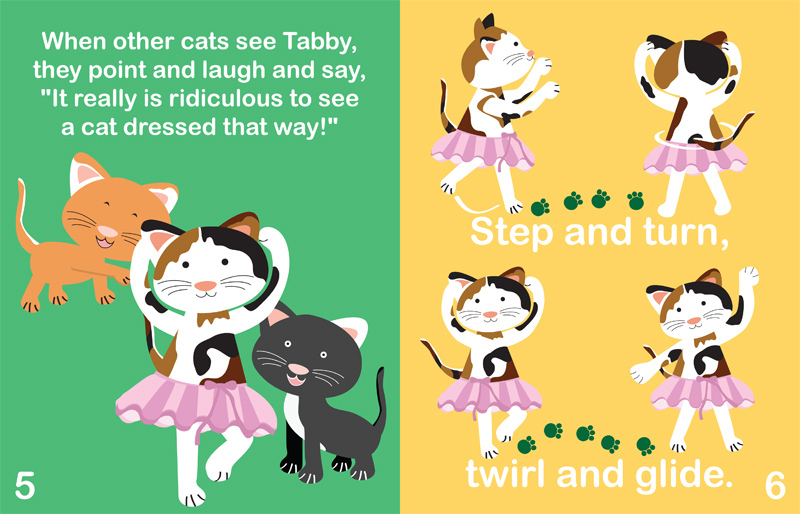 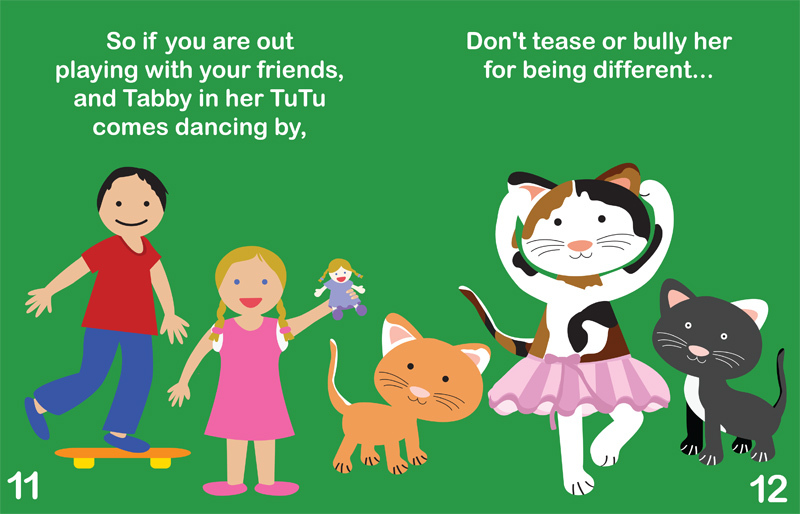 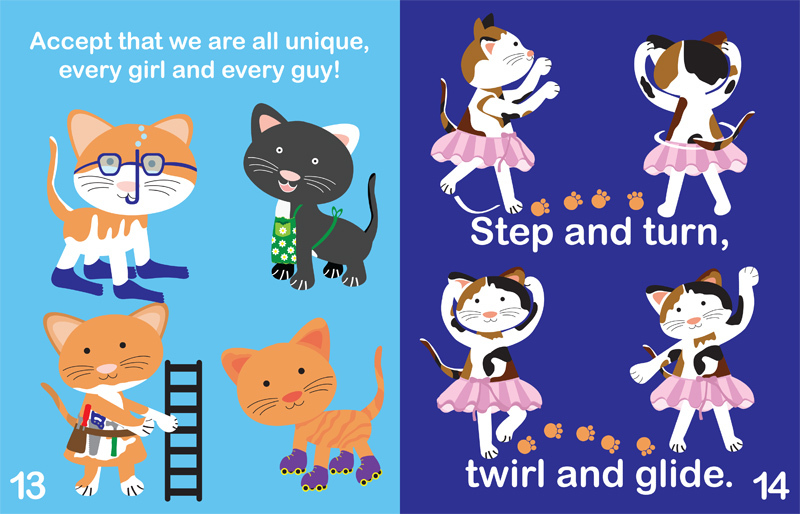 This book about a cat who loves to dance teaches children that it is acceptable to stand out and do what you love. 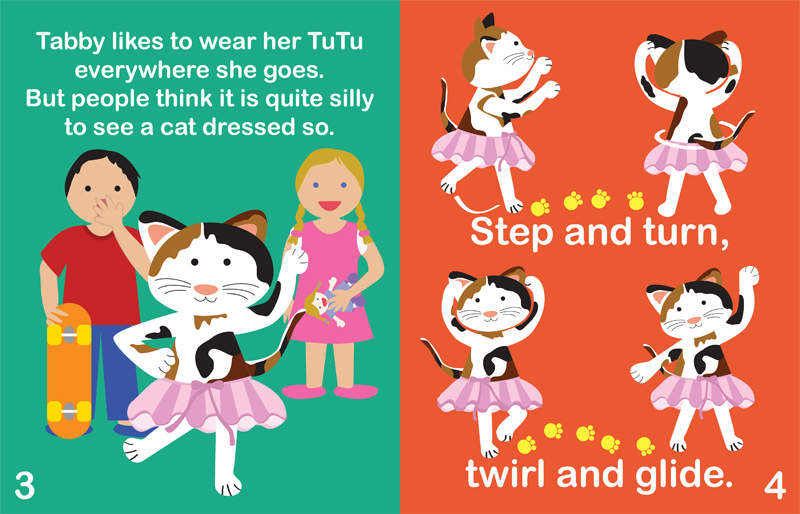 Ma’ayan developed the characters and illustrated the book. 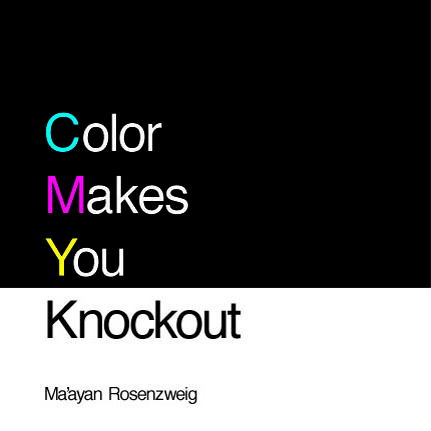 Color Makes you Knockout is an ABC book of color for the designer within. 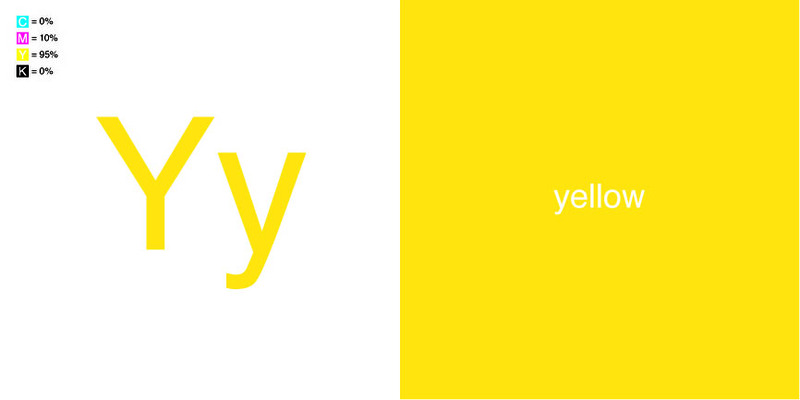 There is a page for every letter in the alphabet and a corresponding color for that letter. 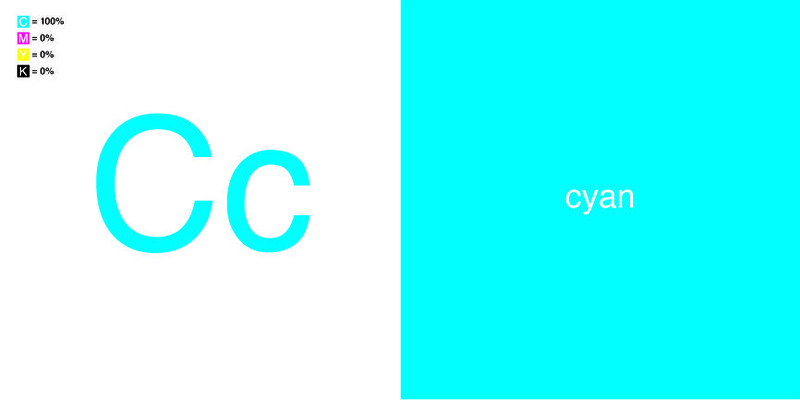 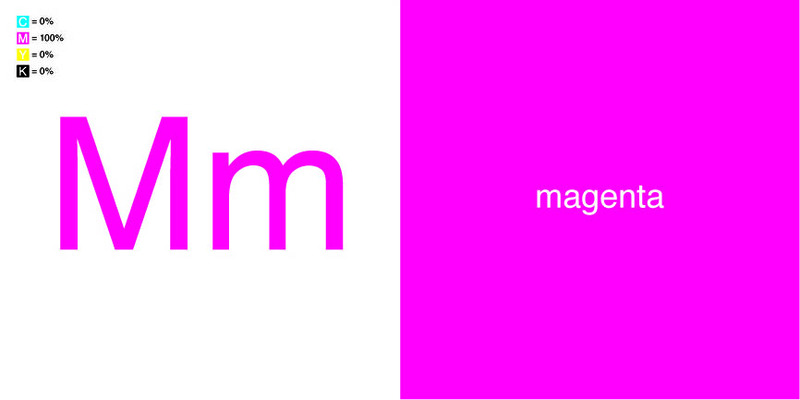 The CMYK make up for each chosen color is also provided. 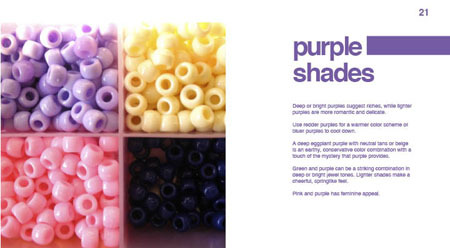 Designers come in all ages, and this simple color book is for them. 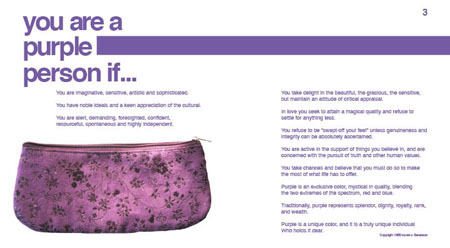 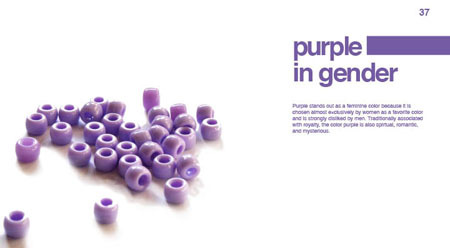 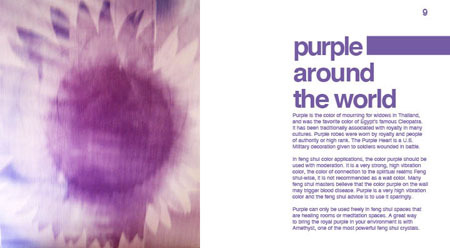 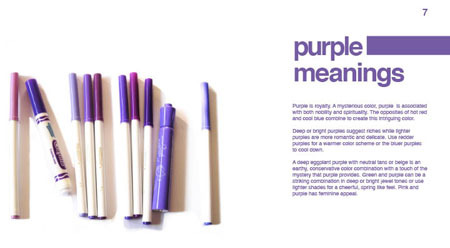 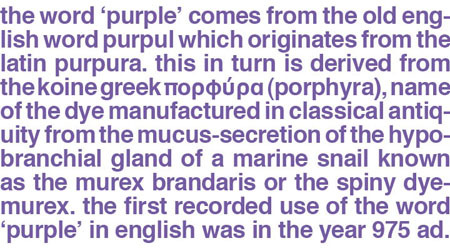 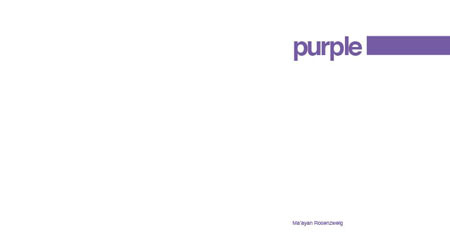 Purple is a catalog of everything purple. 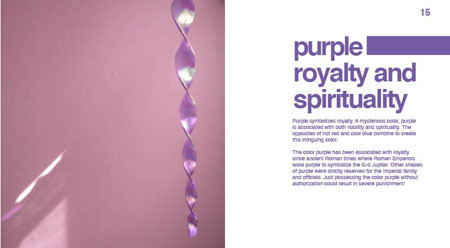 It is a combination of color theory, religious meaning, and global connotations.